Thank you for helping us earn FREE money for our students! Neatly trim Box Tops and Labels for Education from the packages. Box Tops collection sheets are for 10 or 25 Box Tops only. 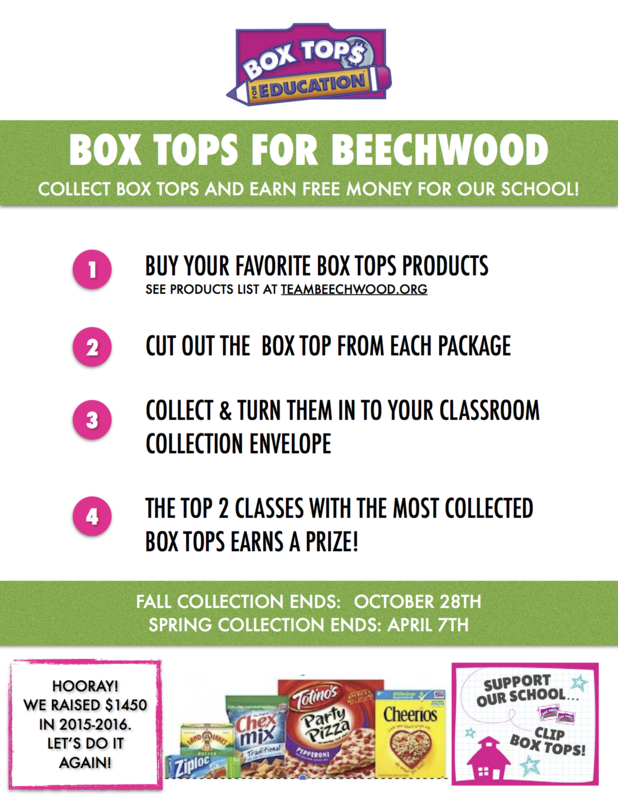 Please do not include any Bonus Box Tops or Labels for Education on the collection sheets. Do not paste Box Tops and/or Labels for Education onto paper. Instead put all Box Tops and Labels for Education into a baggie or envelope. 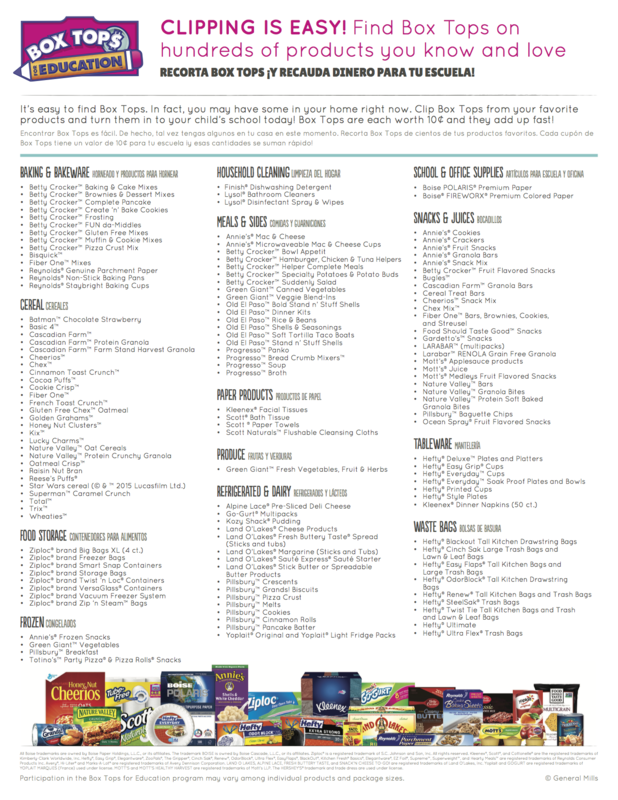 Download the Box Tops collection sheet here. Participating product lists can be found below. Any questions please email mrshannakim@gmail.com. Thank you for supporting the teachers and students of Beechwood! !